At Smart Drive UK we are totally committed to providing you with an outstanding Driving School Franchise which delivers a continuous supply of business that suits your requirements, whether thats 10 hours per week or 60 hours per week. We want to make you more profitable than other driving schools. 100% Confidence!! Having had an amazing 8 years in the Driving Instructor Business we want you to join our family team. You could be our first Instructor in your area. With only around 30 driving instructors in total you will never be just a number to us. We undestand the risk to yourself of commiting to a contract that has either no guarantee of providing a specifc number of pupils or some that promise to give you only 50 pupils per year (that’s less than one per week) . That is why we have created a NO Risk Franchise that leaves you in control and no financial risk to you. We want you to join and stay with us not because the contract term says you must but because you want to, and you love what we do for you, and we will not recruit another driving Instructor in your area unless we have to turn away business because you are too busy and need support. We do not have any sales teams so don’t worry just our family members explaining what we do. 97% of Driving Instructors that started with us on our trial period decided to stay with us. The other 3% left due to personal circumstances and not because of the service we provided. Filling your diary quickly is our highest priority and we will GUARANTEE a minimum number of pupils that will be given to you. Let’s Keep This Simple..we will provide the following for ADI’s. GUARANTEED minimum number of pupils that will be given to you. No additional pupil fees/ no additional fees full stop. All stationery and car signaged provided. You can negotiate with us to beat any genuine franchise deal. Agree your terms with us. So why not talk to us today and we will be happy to discuss your needs or complete this form and we will call you back at a convenient time to you. You’re just a click away! 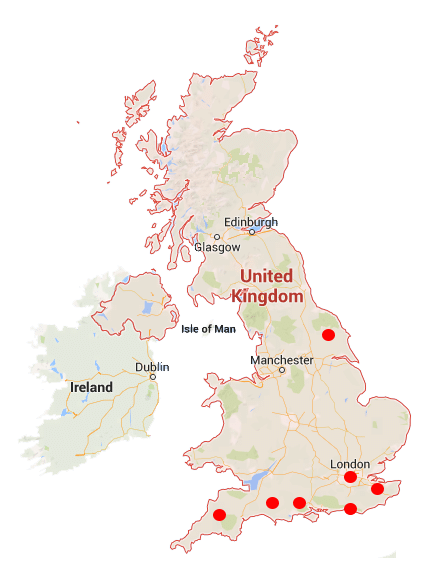 Smart Drive UK covers a wide range of area’s mostly in Southern England for now but we are beginning to expand further into northern areas of England. We offer a comprehensive price plan throughout each area with the same quality of tuition no matter where you take your instruction. All of our instructors are focused on providing you with the best level of service in each and every area that we cover. Here you will find an up to date list of each county and each town or city within a county that we provide a driver instructor franchise service within. Click on the town names to go to the area specific page where you will find prices and booking information. Checkout our BEGINNER STARTER PACKAGES in your area. They are genuine great value packages that give our normal high quality structured lessons on the first lesson AND on the road.